On 10 December 1948, the General Assembly of the United Nations adopted and proclaimed the Universal Declaration of Human Rights. The preamble recognised the inherent dignity and the equal and inalienable rights of all members of the human family as the foundation of freedom, justice and peace in the world. 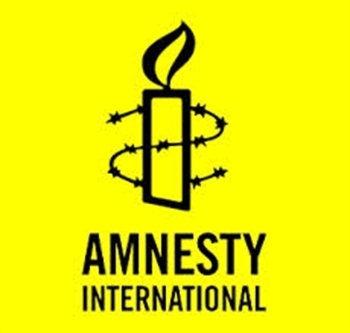 In 1961, Amnesty International was founded after a British lawyer, Peter Benenson, was outraged over the imprisonment of two Portuguese students for drinking a toast to liberty. Today, Amnesty works to protect men, women and children wherever justice, freedom, truth and dignity are denied. As a global movement of over seven million people, working in 150 countries, Amnesty International is the world’s largest grassroots human rights organisation. It investigates and exposes abuses; educates and mobilises the public; and helps transform societies to create a safer, more just world. In 1977 Amnesty International received the Nobel Peace Prize for its life-saving work. Our Harrogate and Knaresborough group members support Amnesty’s work of standing up for human rights around the world. Our activities include: raising awareness about human rights; letter writing and lobbying on behalf of prisoners of conscience; fundraising events; and campaigning through public events. We hold a planning meeting on the second Tuesday of the month at 7:30 pm, and on the third Thursday of the month we meet at St. Peter’s Church on Cambridge Street in Harrogate to write letters for our Write for Rights campaign. This takes place alongside the Lunchtime Reflexions service. We would welcome new members to help with our work. For more details, please contact Judith Simpson on 01423 564842.